One of the reasons that we trade more Burgers than any other firm in the industry is due to the fact that two of our senior brokers, Pam Barlow and John Todd have been focusing on this segment of the market for more than 30 years. 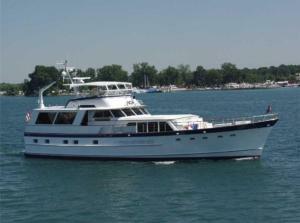 Anyone who is looking to consider the purchase or sale of a Burger motor yacht would be well served in contacting us. Listed below are the current Burgers we have for sale. 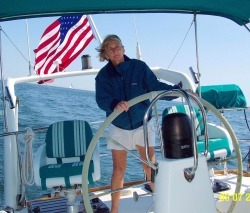 Pam’s “on-the-water” and “hands- on” experience on boats has given her the ability (since becoming a broker in 1979) to help customers determine and find the proper yacht for their needs. She enjoys providing service to her clients, whether in the form of coordinating after purchase projects, finding suitable crew, or taking care of a myriad of miscellaneous details. 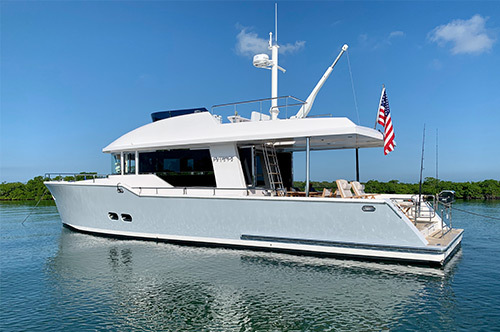 Her respect for the sea, appreciation of quality yachts, and willingness to go the extra mile, adds another dimension to the Luke Brown team. 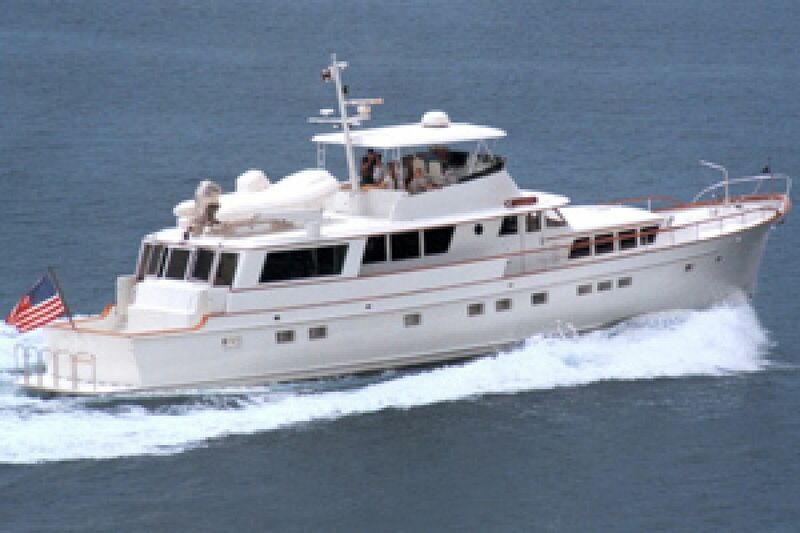 93' Burger 1975 "Seafari"SEAFARI is a Beautiful Hargrave designed Burger Raised Pilothouse Motoryacht that has always had the best of care: highly maintained, continually upgraded, new galley and decor in 2007. New exterior paint at Derecktor in 2011. 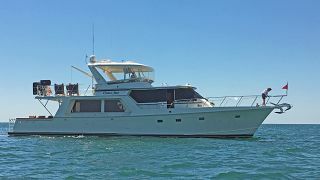 The present owner has cruised extensively from Maine to Florida, the Bahamas and Caribbean, as well as San Diego to Alaska. 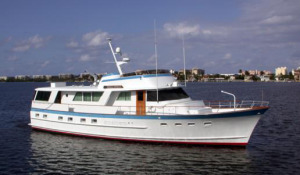 82' Burger 1966 "Koala"KOALA was "reborn" in 2002 when her new owners had her extensively refitted at St. Augustine Marine in St. Augustine, Florida. A 10' cockpit was added with every effort made to keep the beauty of the yacht's classic lines. She was repowered with Cats, and new generators were installed. A new electrical panel was furnished by Ward Marine in Fort Lauderdale. The hull was taken down to bare metal - refaired where needed and painted with Awlcraft 2000. The bottom was sandblasted and painted. 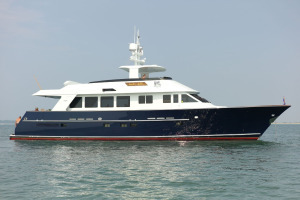 All interior soft goods were replaced, as well as the carpeting throughout the yacht. Original painted interior surfaces were repainted and wood surfaces were refinished. John Todd grew up in a Great Lakes boating family, his grandfather was a commercial fisherman on Lake Huron, his father a long time power boater and former Commodore of the St. Clair Yacht Club. 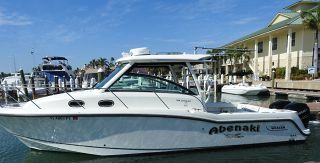 After graduating from Michigan State John moved to Ft. Lauderdale in 1971 to hang around boats full time, first as bottom crew at the Derecktors shipyard, later as captain and in 1982 as broker and sales manager at the Spencer Boat Company in West Palm Beach. 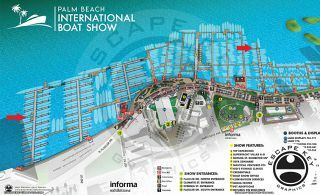 After 21+ years as sales manager and broker with the Burger Boat Company. 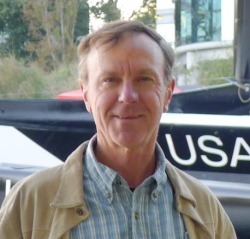 John Todd has joined Luke Brown Yachts as a yacht broker. 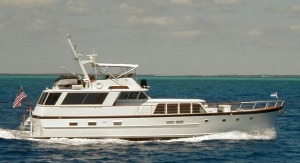 85' Burger 2001 "Lady Sarah"LADY SARAH is unique and masterfully built. The interior can be described as classic contemporary with traditional accents. Large salon windows and incredible headroom throughout highlight the richly crafted Makoré (African Cherry) woodwork. A separate and secluded master suite amidship is comparable in size to those on 100 to 120 foot yachts with amenities to match. Three additional staterooms are forward while the on-deck day head, opposite the dining salon, is totally elegant and features rare Rojo Corlito marble counter top and floor tiles. 72' Burger 1976 "Small World"SMALL WORLD is a classic Burger in good condition. She is stunning from all angles. Her traditional profile with Burger’s customary teak trim and railings is certainly one of the most appealing designs on the waterfront. 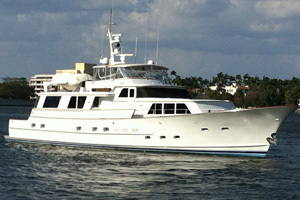 SMALL WORLD is a very unique yacht in that she has had just one owner since new. 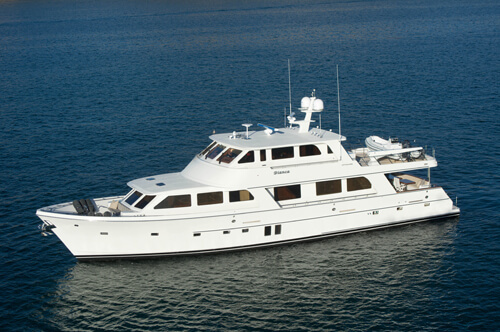 She offers three private staterooms each with en-suite head and shower, and an on deck powder room. The crew quarters are also very spacious for a vessel of this size offering two separate staterooms and a comfortable crew lounge. 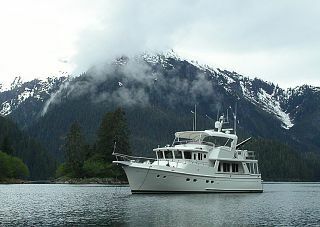 SMALL WORLD represents an outstanding opportunity to own a classic, traditional yacht with an excellent pedigree. 64' Burger 1975 "Latitude Adjustment"LATITUDE ADJUSTMENT is one of the last of 28 Burgers built to a well thought out design from Sparkman and Stephens. 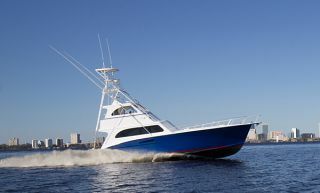 These hulls are both sea worthy and efficient, capable of cruising at displacement speed very economically or running at planing speeds of 15 knots. 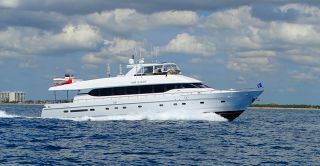 LATITUDE ADJUSTMENT has been well maintained and is beautifully equipped for cruising by owner operators or with minimal crew. She can sleep 6 in three double staterooms, each with private head and shower. 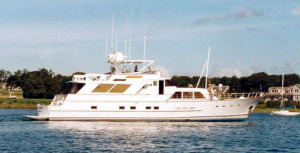 72' Burger 1978 "Taylor Made"TAYLOR MADE has had just four owners since her launch on May 19, 1978. 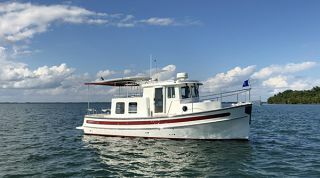 She has been kept on the Great Lakes since 1985 and has enjoyed the benefit of fresh water use as well as short seasons since that time. Her overall condition is immaculate. Her Sparkman & Stephens profile is certainly one of the nicest designs on the waterfront. Her interior furnishings are fresh and immediately useable. 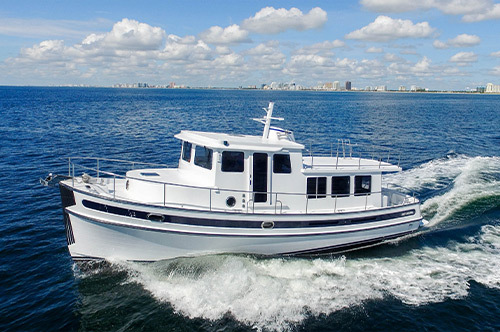 This same Sparkman & Stephens hull design was the inspiration for Burger’s conceptual plans for a limited production revival of the “best traditional designs” by the Burger Boat Company. TAYLOR MADE represents an immediate opportunity to own a very clean, very proven, classic yacht with an excellent pedigree. 80' Burger 1982 "Trysting Place Too"TRYSTING PLACE TOO is a very unique yacht in that she has three private staterooms each with en-suite head and shower. 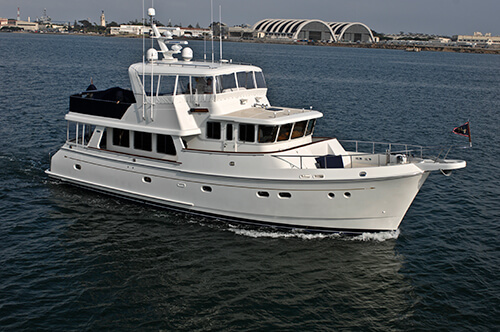 With her country kitchen style galley forward, spacious main salon, and open California deck aft she offers a nice variety of living areas while cruising in comfort. 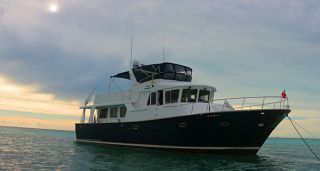 Separate crew quarters, a spacious flybridge, and the added cockpit make TRYSTING PLACE TOO the complete Burger yacht. Exterior paint was recently renewed and her varnish is in excellent condition. Her interior woodwork and furnishings reflect the fit and finish one would expect aboard a Burger.